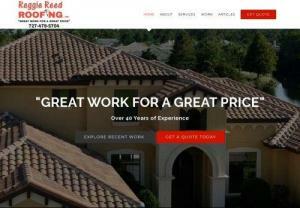 Reggie Reed Roofing is family owned and operated, serving the Tampa Bay area. We are well known for providing "great work for a great price." Roofing company in the capital city of Norway, Oslo. 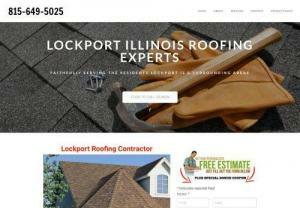 We are a roofing contracting company that provides both residential and commercial roofing. 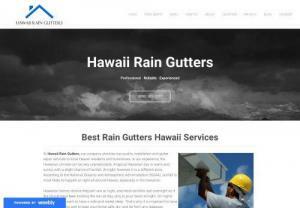 We do roofing, gutter cleaning and much more! Contact us for a free quote! Since 2017, Toledo Roofing has provided Edmonton roofing services to many satisfied clients. At Toledo Roofing, we understand the importance of workmanship and we value every client and our work with the utmost importance. In Edmonton, there are many roofing companies to choose from but we guarantee you won't regret going with our Edmonton roofing services. Expert Renovation Services is middle Georgia's most trusted renovation consultant & licensed general contractor. Featuring over 12 years in service with the same crews and supply relationships. We offer roof repairs in Boulder County and beyond. Roof repairs from hail and wind damage. We handle insurance claims, T-loc replacement and more. Small repairs to full roof replacements. Our team is dedicated to providing top notch services at affordable pricing. We are located in Rootstown, Ohio, We service all of Northeast Ohio so contact us today! Home or office, Fresh Cleaning specialise in window, gutter and solar panel cleaning services in Sydney. Call 0424 318 619 today for a free quote! Portervac based in Melbourne are the only Vacuum Gutter Cleaning service who employ Qualified Roof Tilers and the latest technology. Contact us today! Professional Roofing Contractor Houston | Call Us Now! 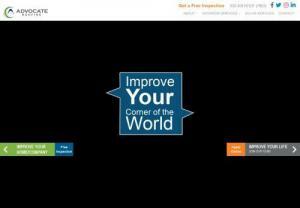 For a high-quality & professional roofing contractor in Houston call - GERANDC. Our team of certified roofing contractor is experienced in all types of roofing. Albany Georgia Storm Damage Restoration: Since 1960 Thrush & Son: Complete Home Improvement of Albany, Georgia has been an industry leader and nationally recognized when it comes to storm damage, storm damage restoration, roofing, siding & more! Protech Roofing is one of the most trusted roofing companies when it comes to roof restoration and guttering - for over 20 years we have been servicing all suburbs throughout all metropolitan areas and providing thousands of satisfied customers with high quality, hassle-free workmanship at competitive prices.